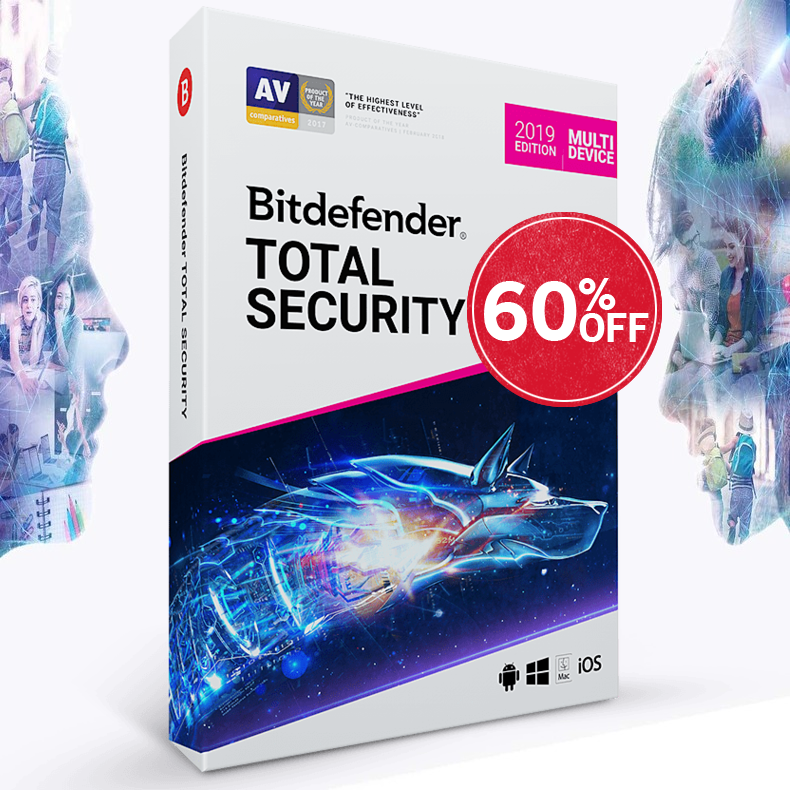 Up to 80% off Bitdefender 2016 Security line for LIMITED TIME only! Bitdefender 2016 also localized in over 20 languages: English, Spanish, French, German, Dutch, Portuguese, Chinese, Arabic, Indian-English, Italian, Romanian, Russian and more. Bitdefender Antivirus Plus is the basic security solution for Windows PC's, compatible with Microsoft Windows 10,8.1,8,7. Bitdefender Internet Security ranked #1 by AV-TEST GmbH and AV-Comparatives as Best security software for Windows PC's. Protects against viruses, spam emails, hackers, with new generation of smart Firewall and automatic updates on a daily basis.